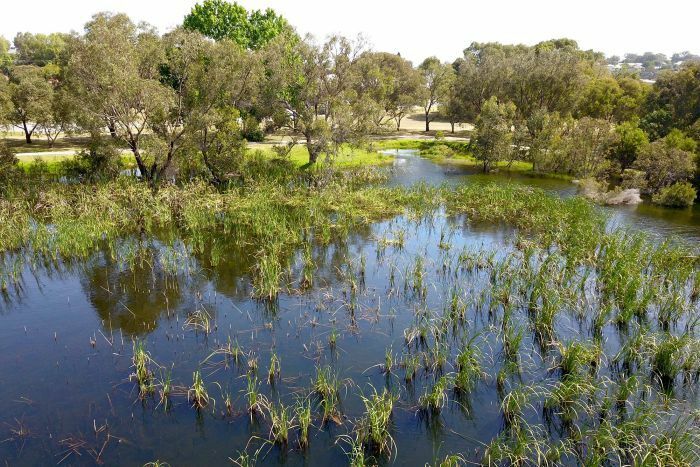 Walking through Perth’s parks or nature reserves, you may have noticed the city’s wetlands are looking healthier, thanks to good winter rainfall. It is a far cry from the parched, thirsty landscape seen in recent times, following years of declining rainfall in WA’s south-west, but experts warn the future of Perth’s wetlands is far from assured. 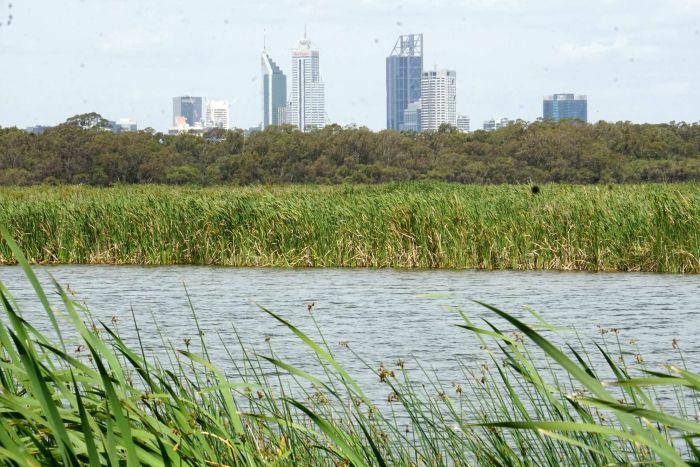 Professor Pierre Horwitz, from Edith Cowan University’s School of Science, believes many of Perth’s wetlands look better than they have in decades, but cautions it may be a flash in the pan. “You can see the vegetation recovers and you can see the waterbirds seem to be more frequent on our wetlands,” he said. You can see the bugs, the critters, the invertebrates in the water. They look like healthier wetlands. Good winter rainfall over the past two years has bolstered water levels, but it was two unusually intense summer rainfall events that helped to keep the soil moist. In January this year the remnants of ex-tropical Cyclone Joyce delivered 96.2 millimetres of rain to Perth in a single day — almost ten times the average rainfall for the month — and the city went on to experience its wettest winter in 15 years. Meanwhile on February 10 last year, Perth was lashed by the remains of a tropical low which delivered 114.4mm of rainfall, the second highest amount ever recorded in the city in a single day. The metropolitan area went on to have an above average winter for rainfall. Conservation Council of WA director Piers Verstegen said it was exciting to see wetlands come to life, but they were not out of the woods. “Unfortunately this is a bit of a rarity, because certainly over the last decade we’ve been very worried about our wetlands, in particular with the impacts of climate change and the overuse of groundwater,” he said. Wetlands typically exist because rainfall has raised the level of groundwater above the ground surface in low-lying areas. But south-west WA has experienced a 20 per cent reduction in rainfall since the 1970s, rendering dams virtually redundant and increasing Perth’s reliance on groundwater, which itself is not being recharged like it once was. “We have to refrain from taking as much water from the groundwater as we have been doing,” Professor Horwitz said. “The problem has been created by our over-extraction of groundwater for domestic purposes. “It’s been a problem of our doing, and then superimposed on that problem of taking too much water has been a decline in the rainfall. That challenge rests with the Department of Water and Environmental Regulation (DWER), which manages how much water is taken from underground supplies. “In certain locations, yes, groundwater abstraction is impacting on wetlands. We know of a number of places where that has occurred,” DWER’s manager of water allocation planning Ben Drew said. “But it’s important to remember, and this is a big challenge for us in planning, [that] groundwater provides about 70 per cent of Perth’s overall water use. “That’s water for the Water Corporation for family water use, as well as parks and gardens, recreation sites, horticulture, tourism precincts like the Swan Valley. They all rely on groundwater. The construction of two desalination plants has helped ease the burden, allowing the DWER to reduce the amount of water it allocates to the Water Corporation for household use. The Water Corporation has also developed a scheme to replenish groundwater by injecting treated wastewater into deep aquifers to be re-used later as drinking water. Meanwhile, the DWER is working on a new allocation plan for the Gnangara groundwater system, Perth’s largest source of fresh water. “Using less groundwater is a critical strategy that we think needs to be implemented over the next decade or so, so that we can meet that balance and keep the wetlands as healthy as possible,” Mr Drew said. 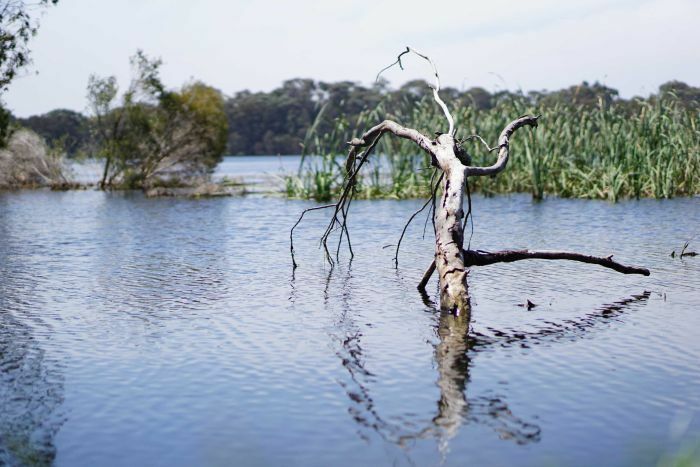 Wetlands are one of Perth’s most spectacular and biodiverse assets, but a longer-term decline in rainfall has taken a huge toll according to Professor Horwitz. “There are particular animals that we’ve lost completely from Perth wetlands, there are lots of species of crustaceans that have become much rarer in our lakes,” he said. But Professor Horwitz said the good news was that they could recover. “That’s what these wet years are showing us. It may take a little bit longer to get the more sensitive species back, but some of the more common species we should be able to get back relatively quickly,” he said. Mr Verstegen said in order to properly halt the degradation of Perth’s wetlands, protection from development was vital. “One of the key things that we need to see is a buffer zone policy around our wetlands, so that we don’t have the kind of development encroaching on the wetlands that impacts on the water quality,” he said.